The two major factors that brought me to LETU were basketball and the flight program. During my senior year of high school, I was trying to figure out where I wanted to go to college. The only thing I knew was I wanted to play basketball and I wanted to fly, so in search for a place to play, I sent out my highlight tape to a bunch of different universities. Coach Miller wrote back and he said they'd be interested in having me on campus for a visit. 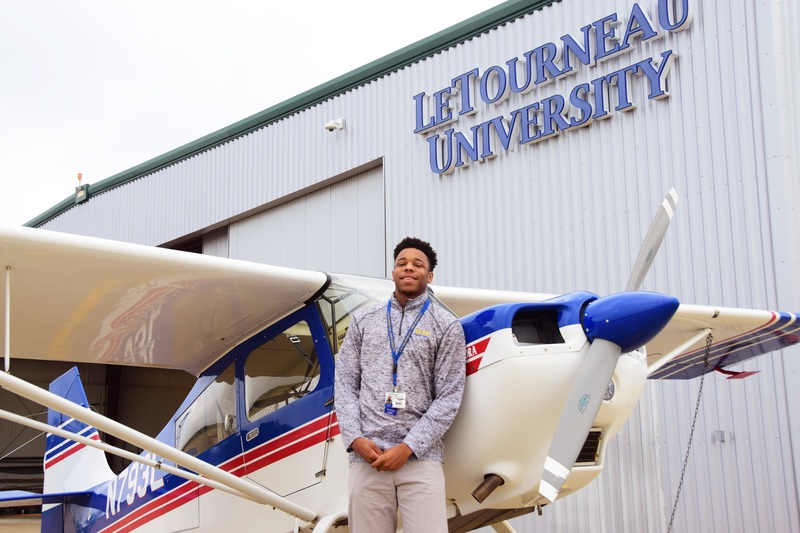 Little did I know that LETU had one of the best flight programs in the nation. After my visit, I was convinced that LETU was the place for me. I have two favorite experiences here at LETU. The first being a part of the basketball team, and breaking countless team records. Playing with this group of guys has been the best basketball experience of my playing career, and I hope to have many more great experiences in my last two years of playing. My other favorite experience was finally passing Primary Flight II and getting my private pilot's license. It felt really good to see all my hard work pay off. Not to mention, that everybody was so happy for me. My teammates, family, peers—everybody seemed to be just as excited as I was. Don't give up your passion because of school. Discover more and see how you can get a Christ-centered education and basketball team through LeTourneau.